We studied the effects of plant diversity on abundance of invertebrate herbivores, parasitoids and predators in two grassland communities (one in Switzerland and one in Sweden) in which plant species richness and functional diversity have been experimentally manipulated. Among herbivores, the abundance of only the most sessile and specialised groups (leafhoppers and wingless aphids) was affected by plant diversity. At both sites, numbers of leafhoppers in sweep net samples showed a linear, negative relationship with plant species number whereas numbers of wingless aphids in suction samples increased with the number of plant functional groups (grasses, legumes, and non-legume forbs) present in the plot. Activity of carabid beetles and spiders (as revealed by pitfall catches) and the total number of predators in pitfalls at the Swiss site decreased linearly with increases in the number of plant species and plant functional groups. Abundance of more specialised enemies, hymenopteran parasitoids, was not affected by the manipulations of plant diversity. 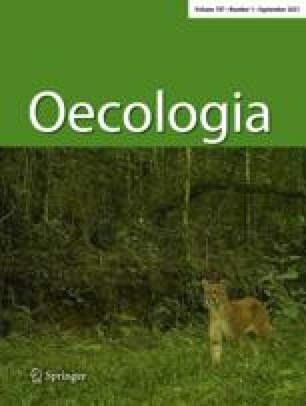 Path analysis and analysis of covariance indicated that plant diversity effects on invertebrate abundance were mostly indirect and mediated by changes in plant biomass and cover. At both sites, plant species composition (i.e. the identity of plant species in a mixture) affected numbers of most of the examined groups of invertebrates and was, therefore, a more important determinant of invertebrate abundance in grasslands than plant species richness per se or the number of plant functional groups. The presence of legumes in a mixture was especially important and led to higher numbers of most invertebrate groups. The similarity of invertebrate responses to plant diversity at the two study sites indicates that general patterns in abundance of different trophic groups can be detected across plant diversity gradients under different environmental conditions.